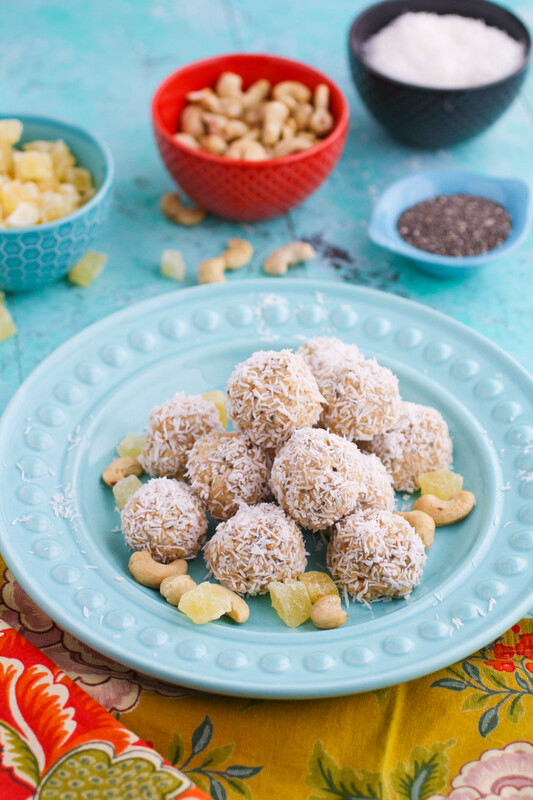 Let me take you to the tropics with these no bake coconut, cashew, and pineapple energy bites! 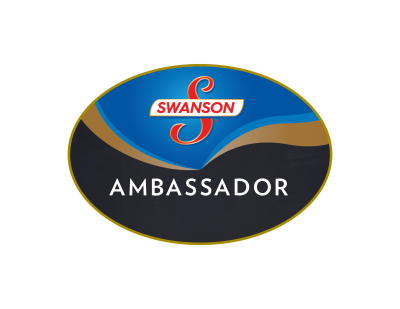 They are a tasty snack you can grab on the run, or enjoy at home. These bites will brighten your day. I’ve been trying to get my snacking in check, but sometimes it’s hard. It’s especially hard for me since I mostly work from home. 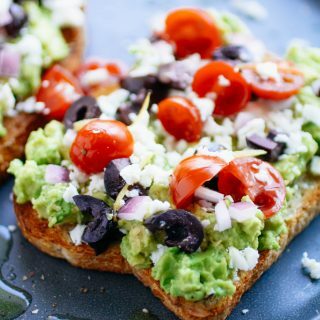 These bites are helpful — they’re satisfying and delicious, and filled with healthy ingredients. I’m not an expert on nutrition, but after a little digging, I found that the ingredients in these bites are filled with fiber, vitamins and minerals, protein, antioxidants, calcium, protein, and omega-3 fatty acids (hearty-healthy fats). The chia seeds themselves pack a punch with the good-for-you stuff. I recommend you do some research yourself to see what you think, and to decide what’s right for your diet. These little energy bites are great in the afternoon. I sometimes seem to either slump during that time, or go snack crazy on things that might not be quiiiiite so good for me. These no bake bites are so easy to make, there’s really no reason not to try them! 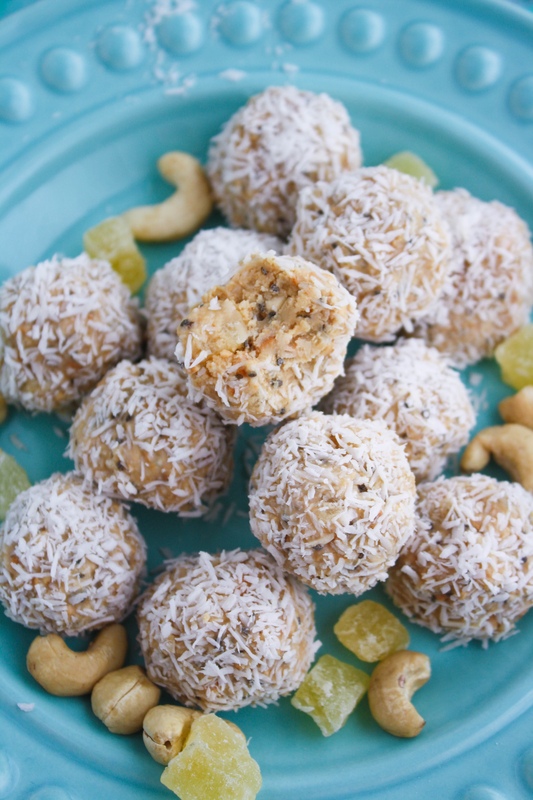 Pineapple, coconut, and cashew make such a great combination of flavors. I used raw cashews and toasted them a bit. After whirling the ingredients in a food processor for a minute or so, the final product can be just a bit wet. After rolling the bites in a bit of dried coconut, I refrigerated them to firm up. To store them, pop them in a container and keep them in the fridge. It’s easy to imagine yourself on a tour of the tropics with the tasty flavors in these bites. 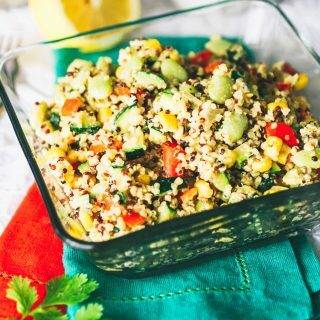 Whether you take these bites on the go, pop one after a workout, or enjoy one mid-day as a treat, you’ll love the flavors — especially if you’re fed up with the winter weather! 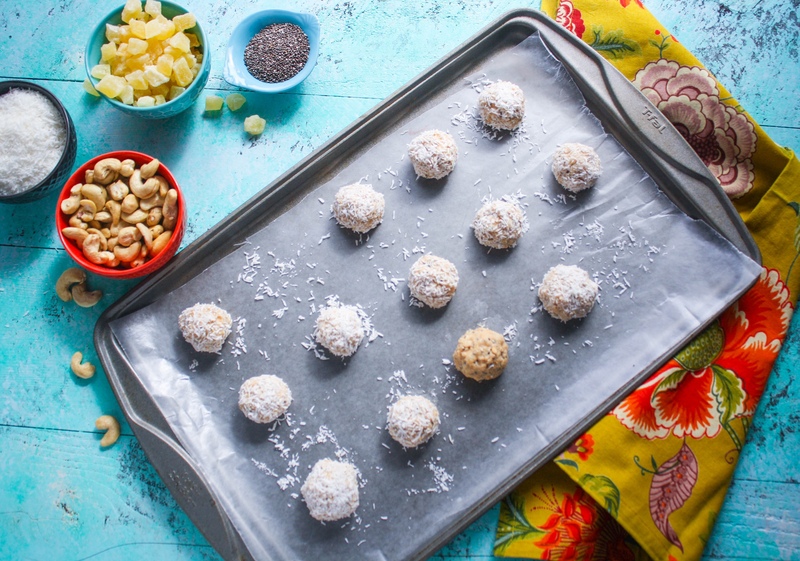 Make a batch of these no bake coconut, cashew, and pineapple energy bites to keep your snacking in check. Line a baking pan with waxed or parchment paper. Add 1/4 of the coconut to a small bowl and set aside. 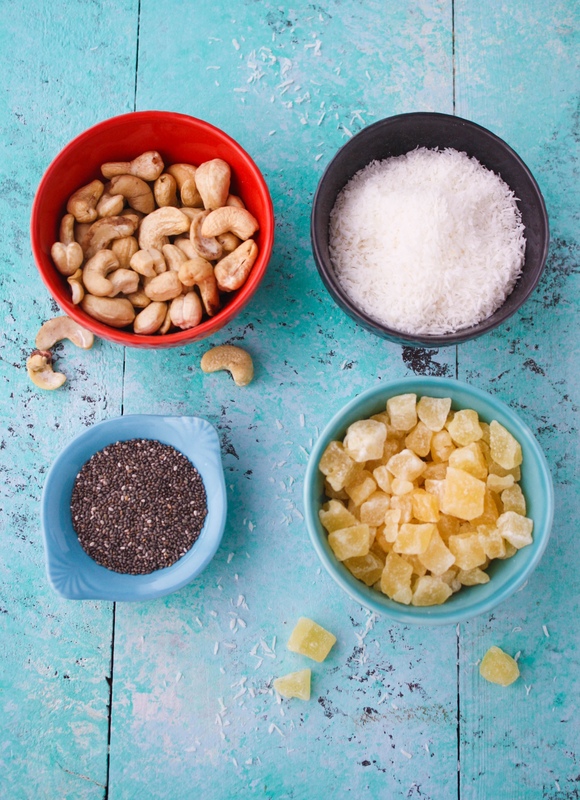 Add the cashews, pineapple, remaining coconut, chia seeds, and salt to a food processor. Blend a minute or so until it forms a dough. Roll to shape the dough into 2-inch balls. 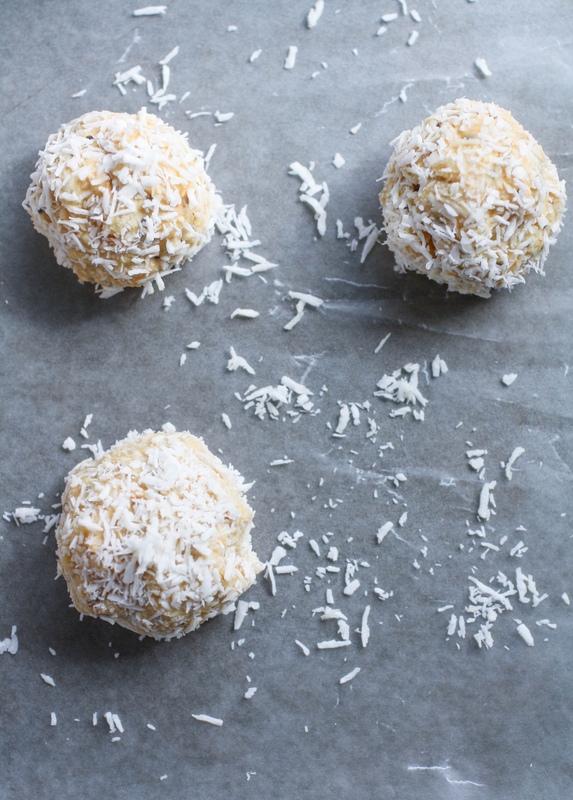 Roll each ball in the 1/4 cup of reserved coconut. Place on the baking pan and refrigerate for 30-60 minutes. Store in a container with a lid in the refrigerator. Thanks so much, kyla! Yes, there really are a lot with dates (and I love them), but for sure this one is a bit different - and so tasty, too! Oh man, these sound really yummy! These look good, I'll have to try them! I love energy bites. Thanks, Alyssa! Hope you try them and enjoy! Ohh these look good! Thanks for sharing it. Thank you, Alix! Hope you get to try them! I definitely can use some energy bites, and these sound perfect! Hi, Ushmana! 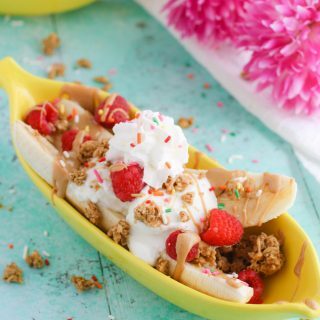 I hope you try these -- definitely a fun flavor combo, and they're easy to make! Enjoy! I love all these flavors! Perfect for afternood snack! Thank you, Abeer! I hope you try these! My husband loves pineapple desserts! He's going to love me for making him these energy bites! That's great! Enjoy! Thanks, Jen! I'm always looking for new energy bites for the kids to try! These look like ones they'll love! That's great! 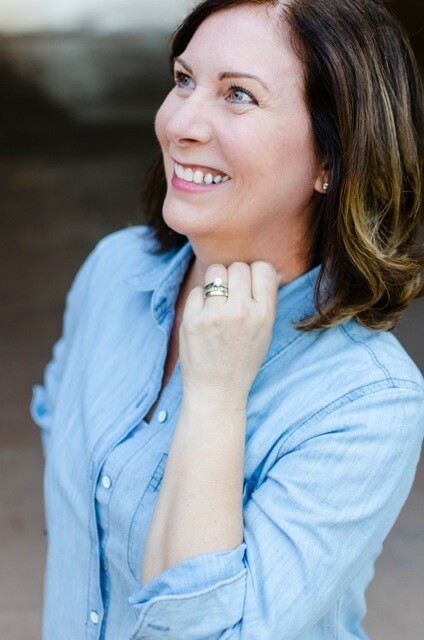 I hope you all enjoy them - thanks, Jen! I hope you all like them, Sabrina! Thank you! These look so tasty and easy to do. I have to pin this. Thanks, Jasmine! Super simple to make! Craving for these! Such a great flavors! Perfect snacks! Thanks, Erin! They're so good! So simple! So delicious! I can't wait to make these, my snacking has been out of hand since the holidays! No baking required! I love it! Ha! You deserve it (or you could make these if you can't get away)!